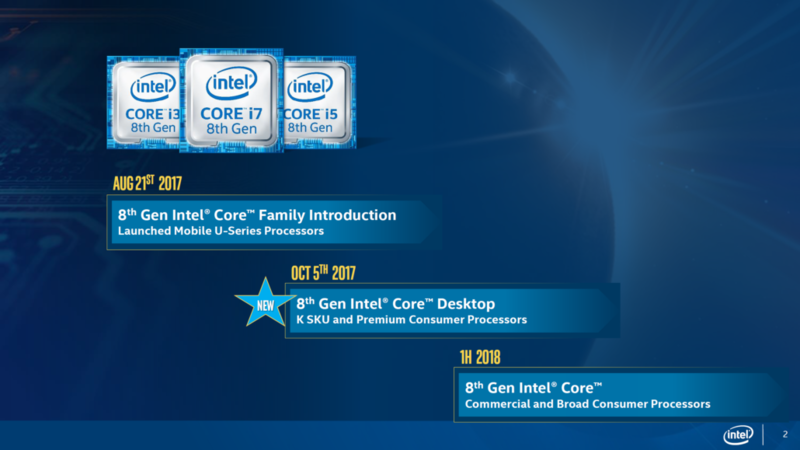 The Coffee Lake-S 8th Generation family, was the first big core count jump on the mainstream 300 series platform. 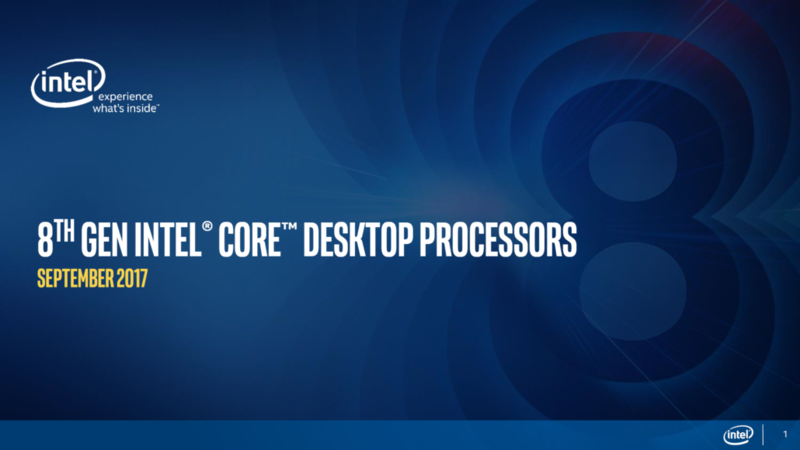 The Core i7-8086K not only offers the higher core count, but it also comes with the fastest clock speeds. The chip was announced back at Computex 2018 in June and was available in the market later that month. 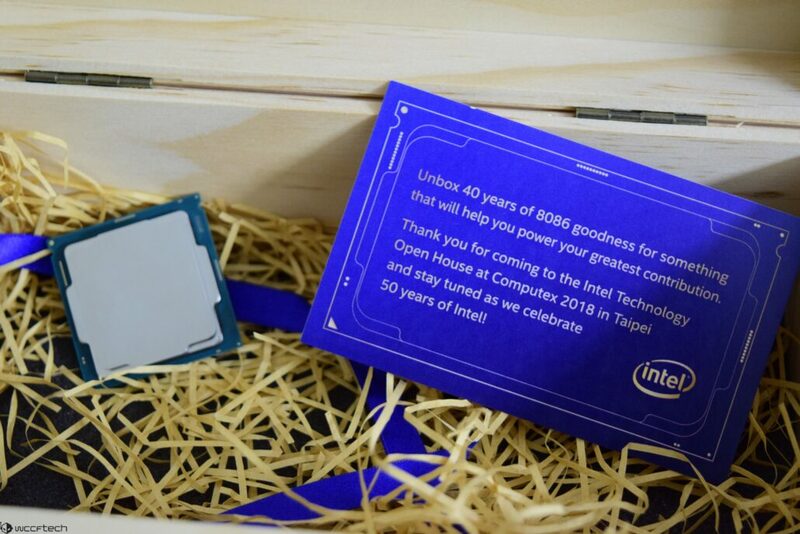 Today, I will be taking a look at this special anniversary edition variant provided by Intel and see how it holds up to modern day tasks and whether it can keep up to the legacy of its 40-year-old predecessor, the original, the Intel 8086. 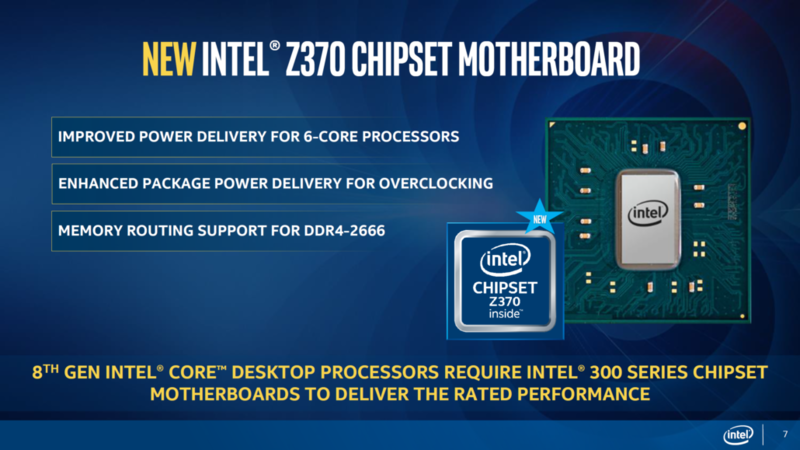 Intel’s robust Z370 platform offers superb compatibility with all of the latest 8th generation processors and I will be testing the processor on one of the high-end motherboards to see how the chip holds up. 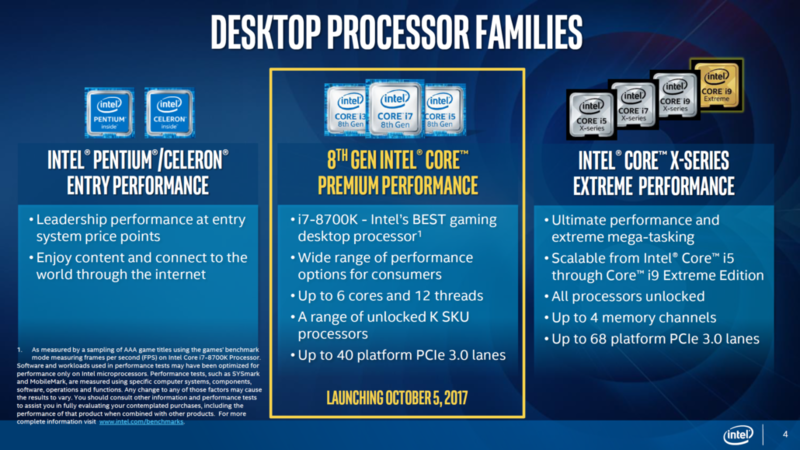 Since the launch of Coffee Lake processors, Intel is also offering a new platform that is marked under the 300-series family. 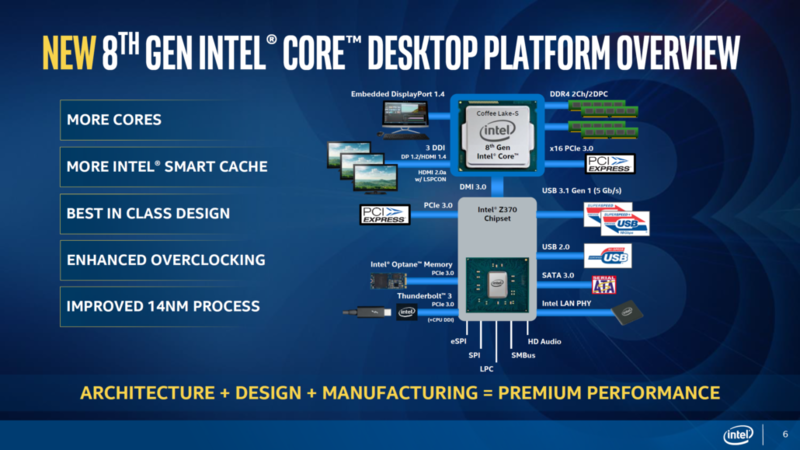 The Intel 300 series platform features several chipset SKUs but the top of the line is the Z370 PCH. The Z370 platform is exclusively built to support Coffee Lake CPUs meaning that while we can expect later CPU launches (9th Gen) to feature support on the current platform, all CPUs that came before will not work on the new motherboards. 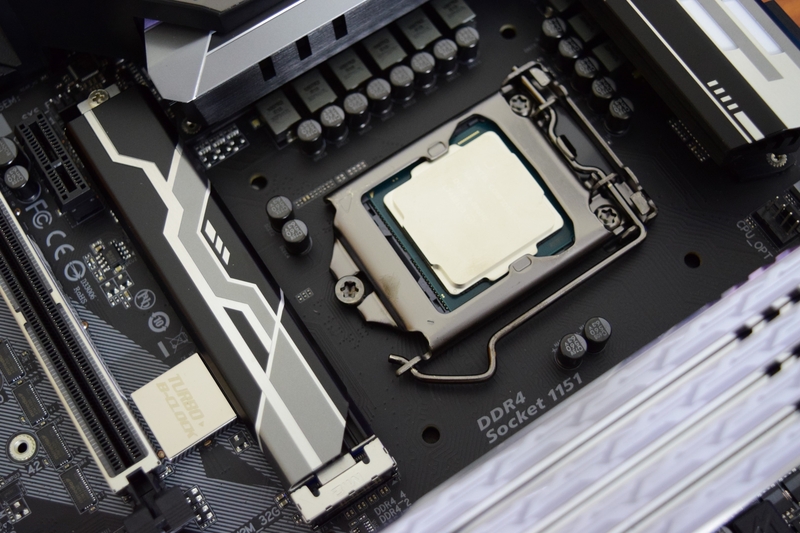 We have more details on this in the LGA 1151 socket section so here, we will be taking a look at the Z370 feature set and what it offers over the previous 200 and 100 series platforms. 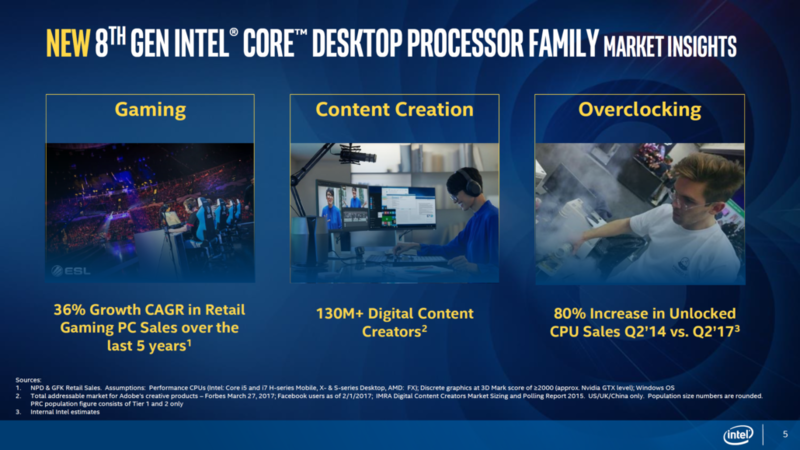 That brings us to the next significant detail about the Intel 300-series platform. 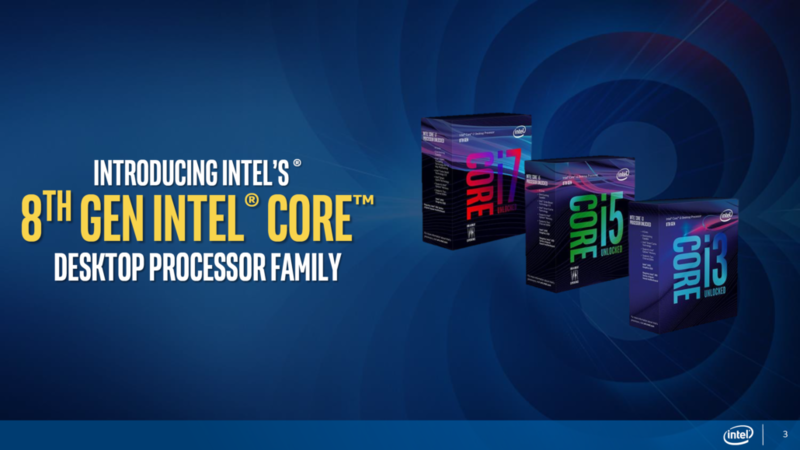 Intel is confirming that the Coffee Lake processors are only compatible with the 300-series chipset. The reason cited by Intel is the change in electrical lanes and power delivery that Z370 improves substantially. We did have a word with some motherboard manufacturers and while they reveal that Coffee Lake may work with older motherboards, it won’t deliver the same level of stability or clocks as on the Z370 series motherboards. 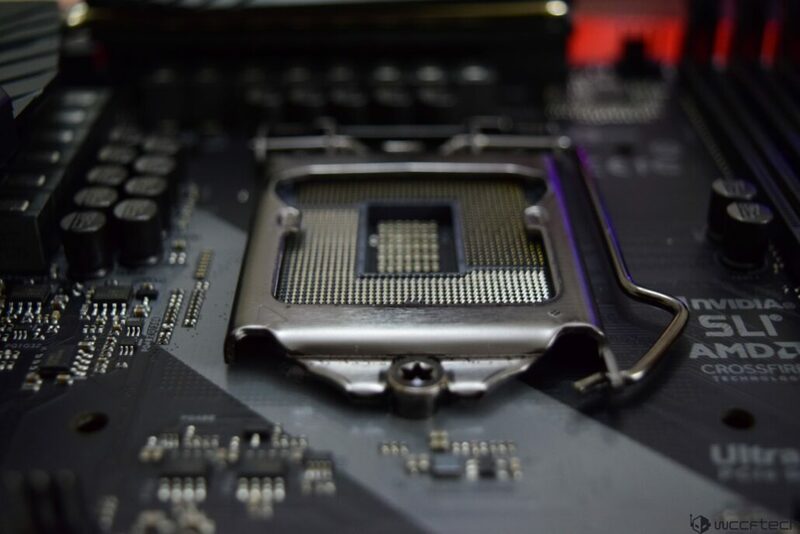 A more detailed analysis was posted by David Schor a few days ago which confirms the change in pin configuration on Coffee Lake processors, hence keeping the LGA 1151 socket on Z370 boards exclusive to Coffee Lake chips. So one thing is clear, Intel was in fact telling the truth about electrical changes to the processors and socket in the 300-series platform. 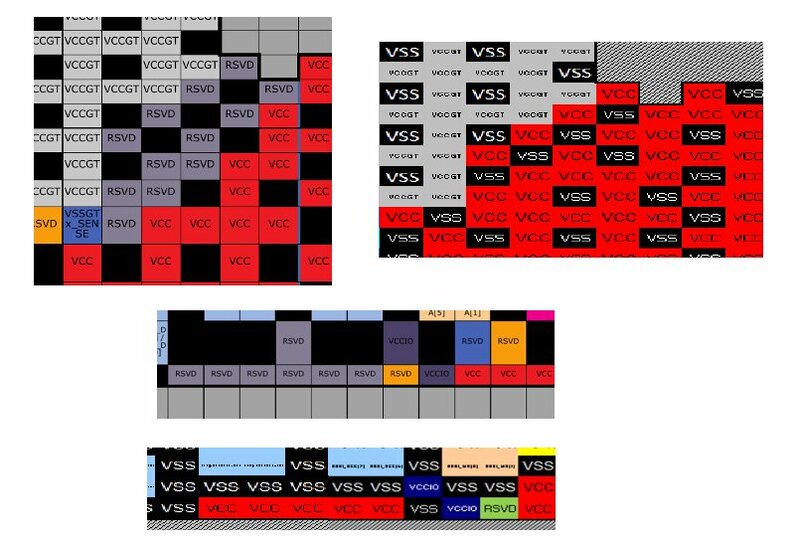 Furthermore, it’s not just the reserved pins from Kaby Lake that have simply been populated. 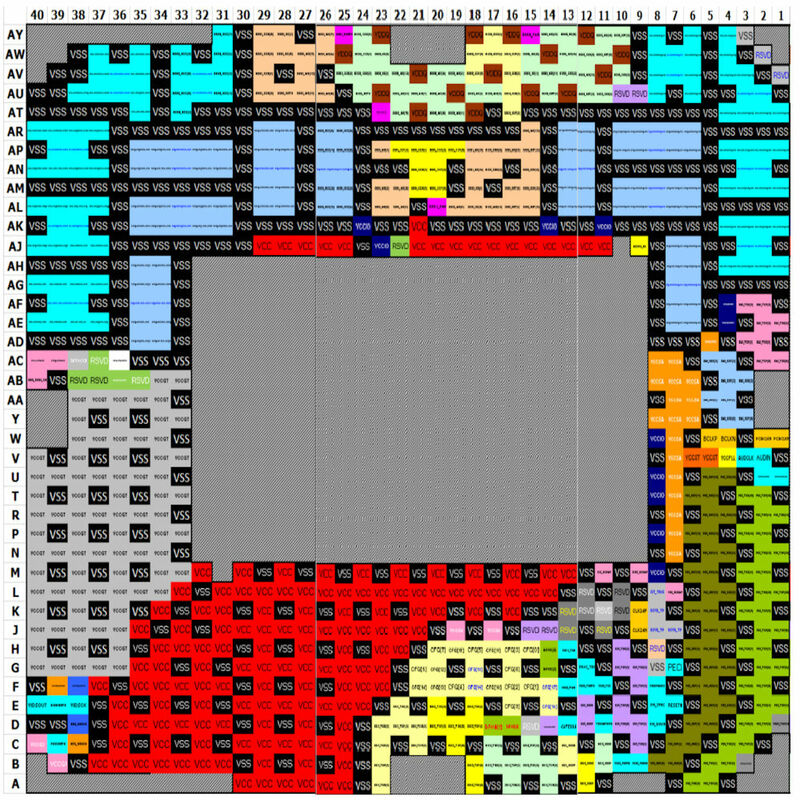 There are pins aside the reserved ones that were swapped with VCC pins and indicate a design tweak. Keeping the same socket has some advantages in the form of cooler compatibility. All users who are running the LGA 1151 socket or even LGA 1150 boards can use the same cooler on the Z370 boards without any hassle. 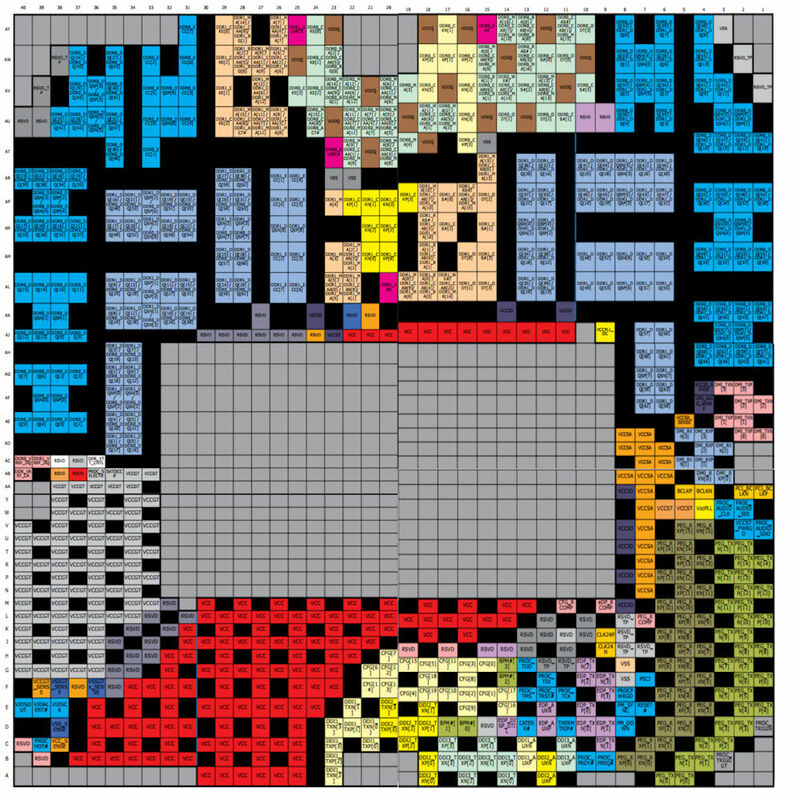 The socket has the same dimensions and no changes are made aside from electrical changes that are specific to socket and processor pins. The socket assembly and mounting remain the same.